I was a unique game. quite dark, but had so many interesting hiden messages. I definetly apprecicated it more as I grew up as all the characters in clock town had an interesting story to tell. You played as Link, but all the characters in clock town where protagonists of their own stories and helping them out felt rewarding and not tidious at all. For andy LoZ fan, its a must play. 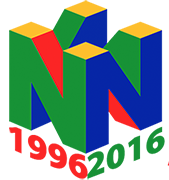 “N64 era was a great time for me, it was my second video game (my first one was a Snes) and I’m happy at how I could fully enjoy the games. 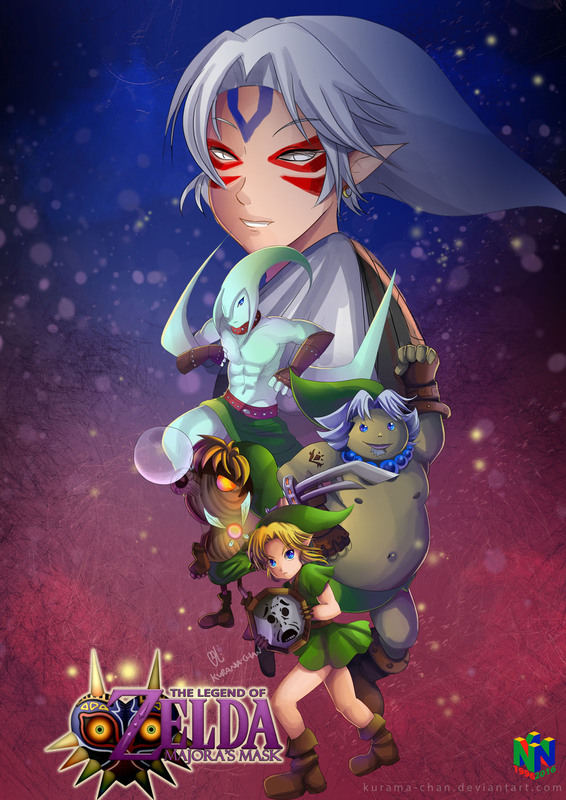 Zelda means a lot to me, and Majora’s Mask is one of the most stunning games I’ve played. It was different from the others Zeldas, it had a darker aura and mystery, along with many side quests, which amplified the development of NPC characters and made the game very insteresting! The Legend of Zelda: Majora’s Mask was released in April 2000 in Japan and a half year later in the USA and Europe, only around 2 years after Ocarina of Time. The game used many assets like characters, some locations and enemies from the game which made it possible to release another Zelda game without another long pause again. The game still became one of the most unique entries in the long running Zelda series and is till today a fan favourite. Its tone is very dark, the game in general more difficult than the most other Zelda games and unlike the most of the other games it is not set in Hyrule. 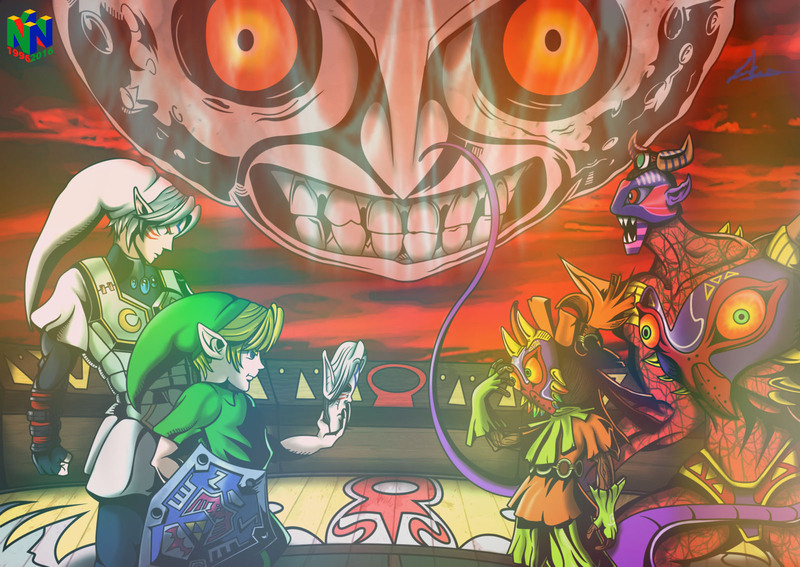 Antagonists like Ganondorf played no role here, instead Link had to battle not only foes but also time itself. In 2015 a remake was released for the Nintendo 3DS.